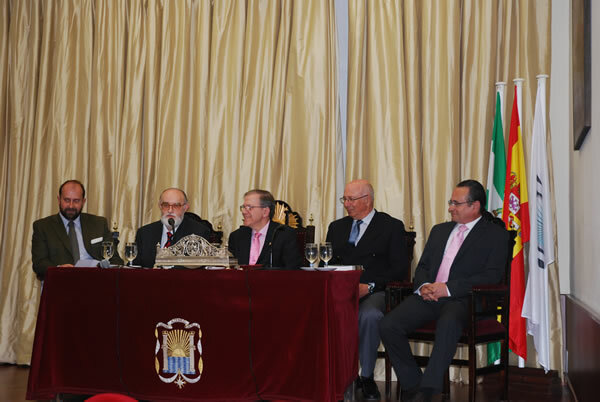 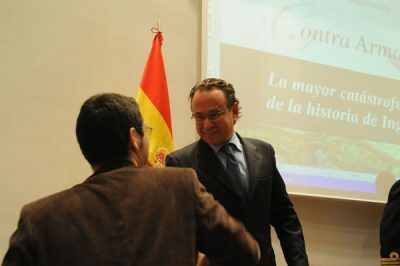 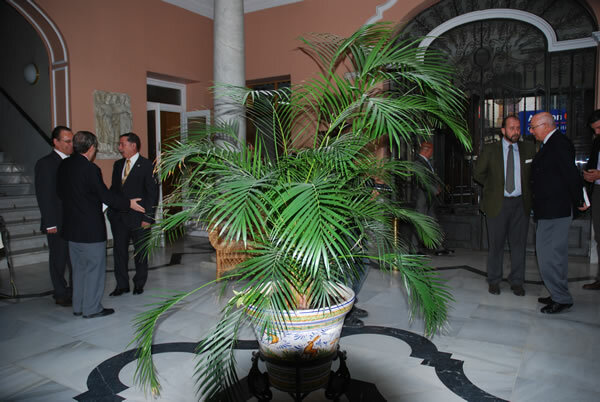 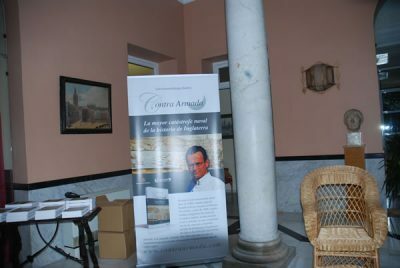 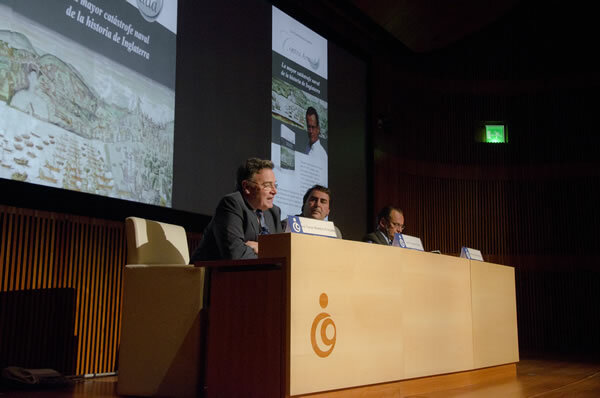 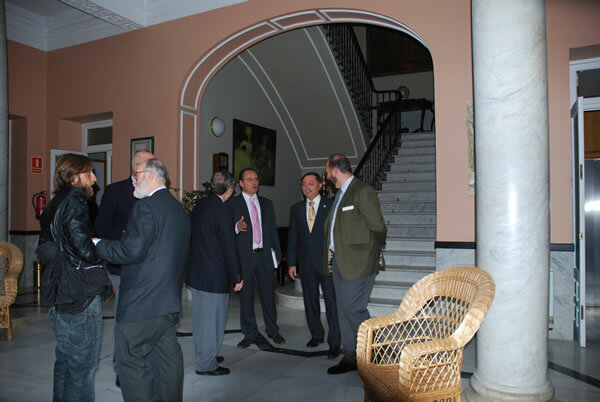 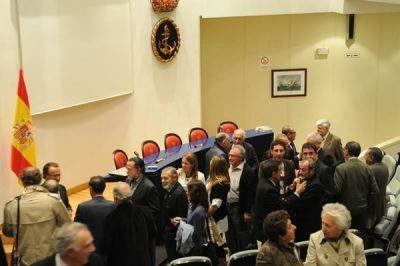 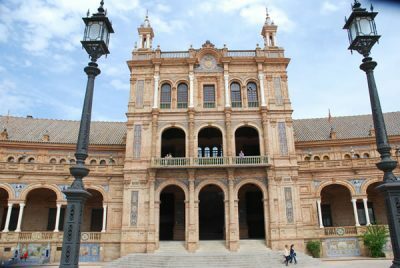 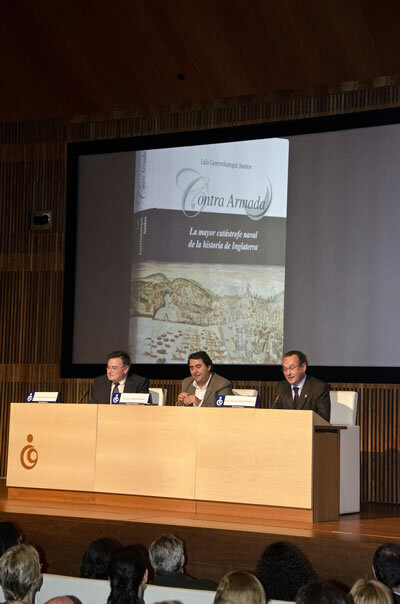 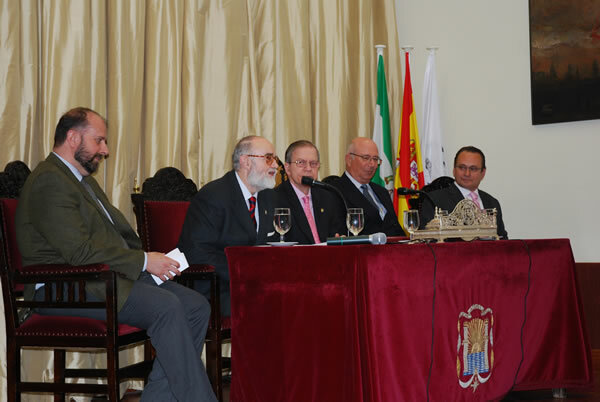 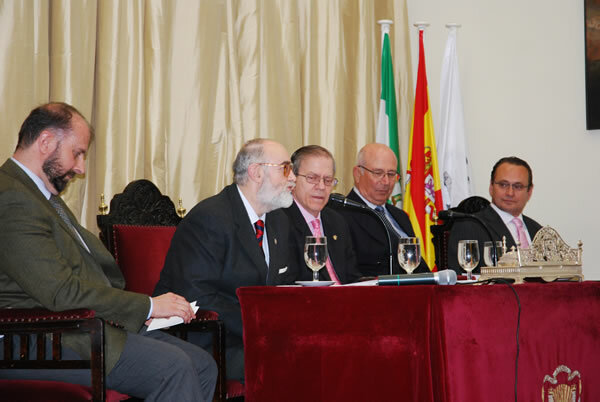 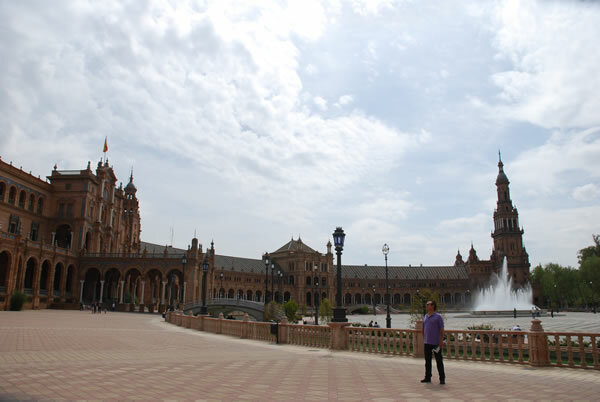 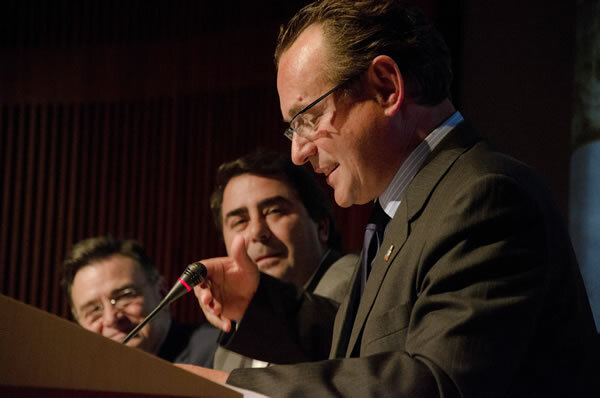 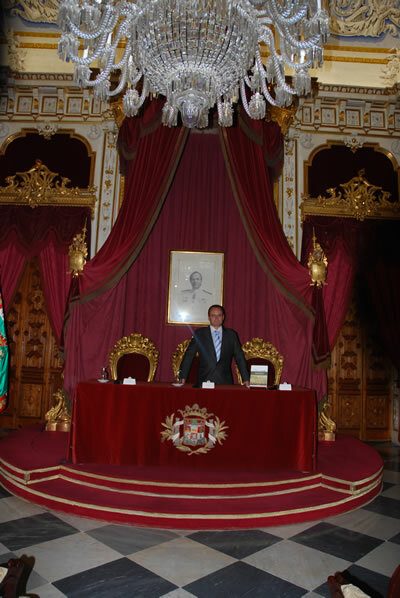 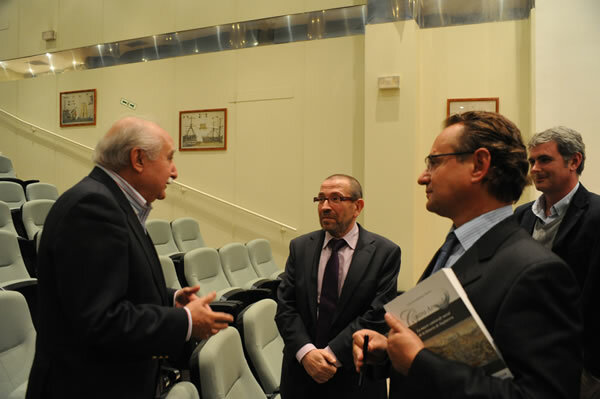 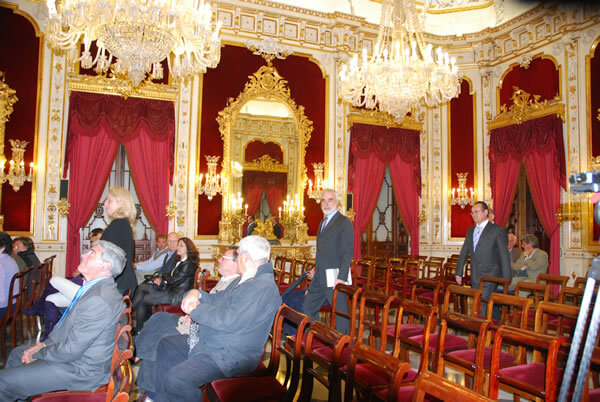 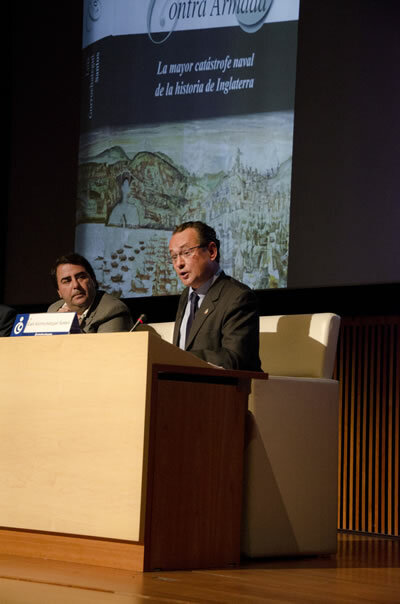 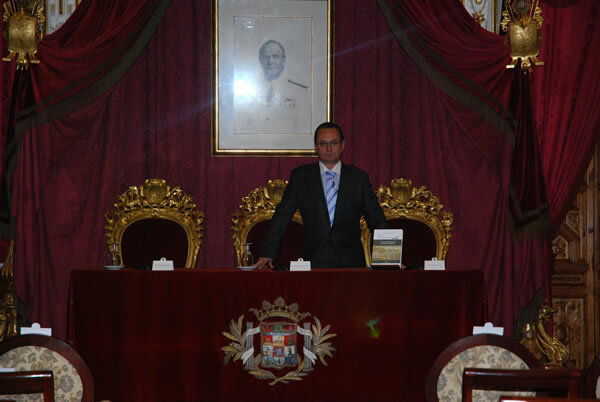 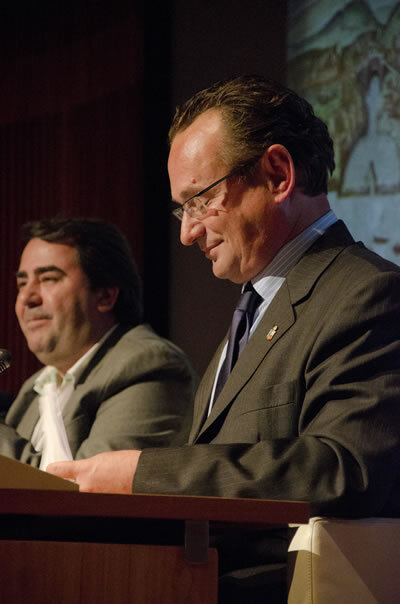 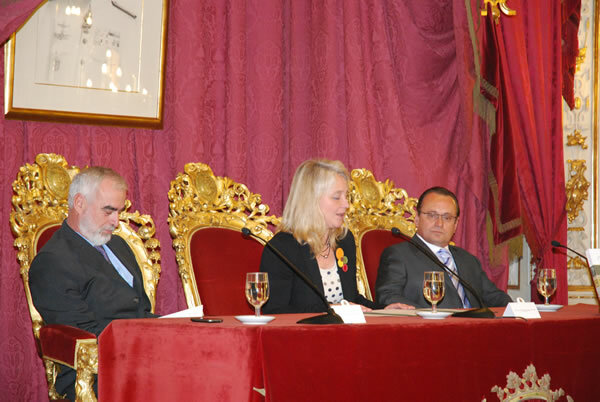 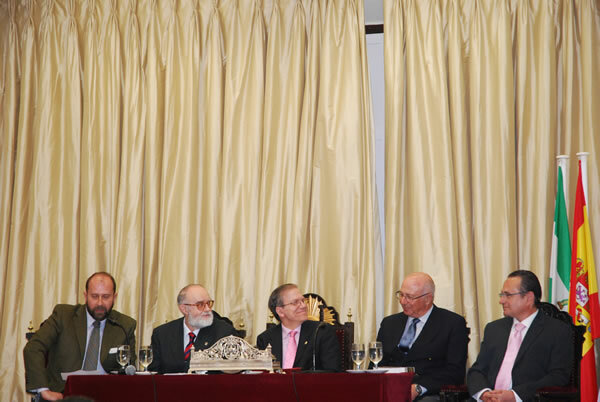 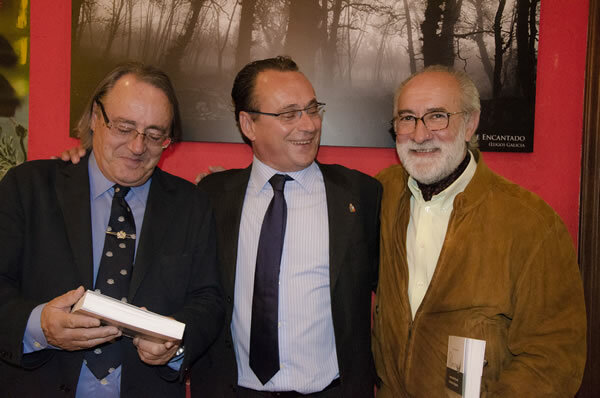 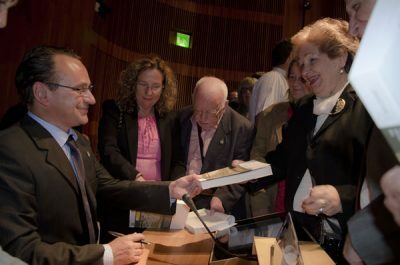 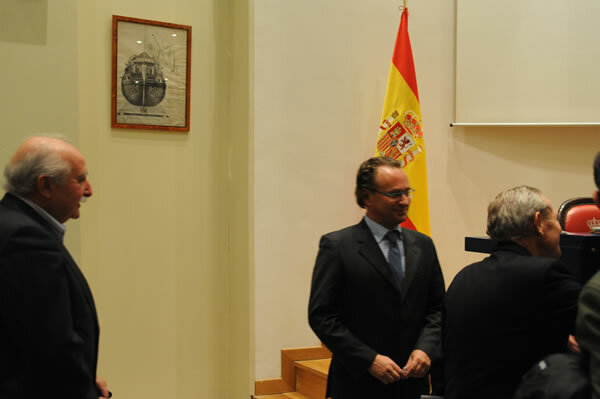 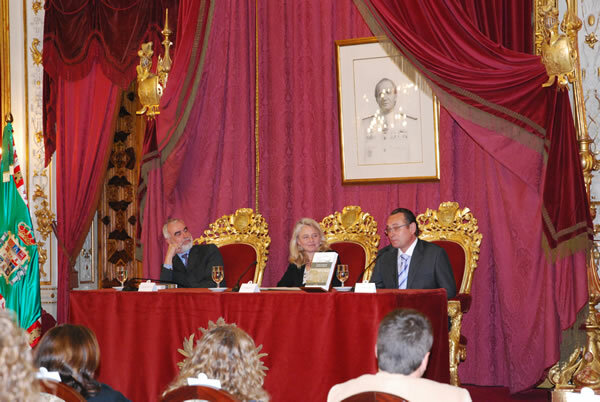 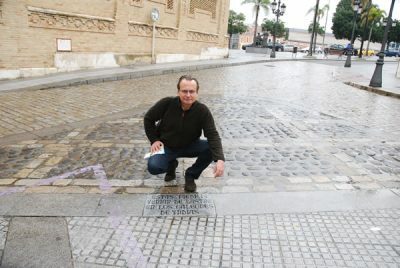 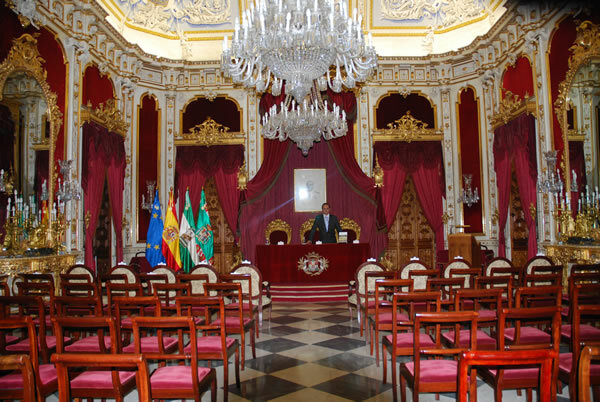 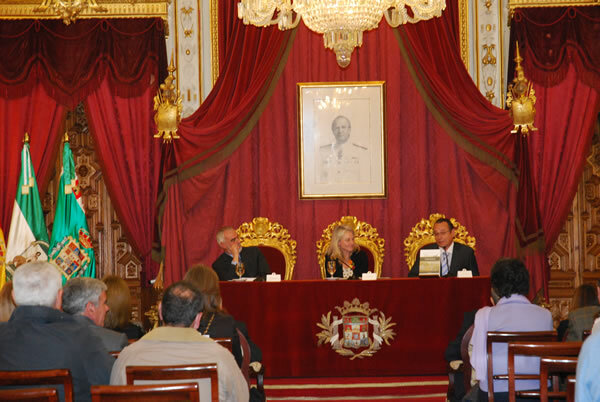 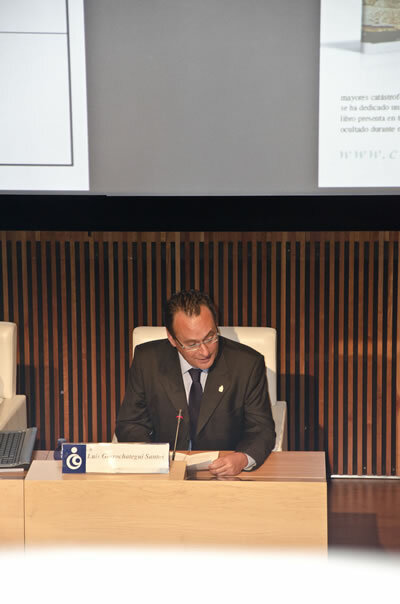 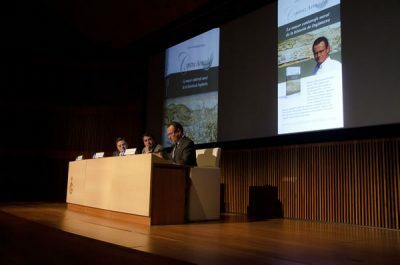 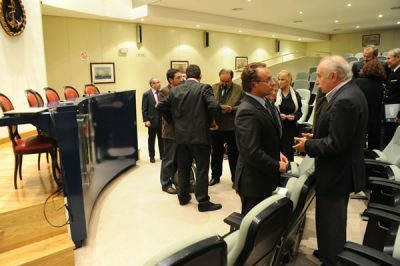 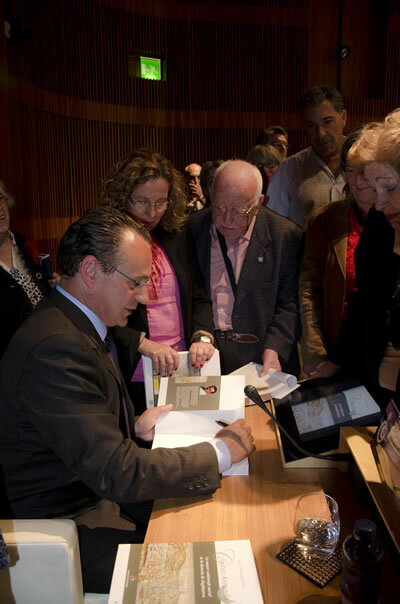 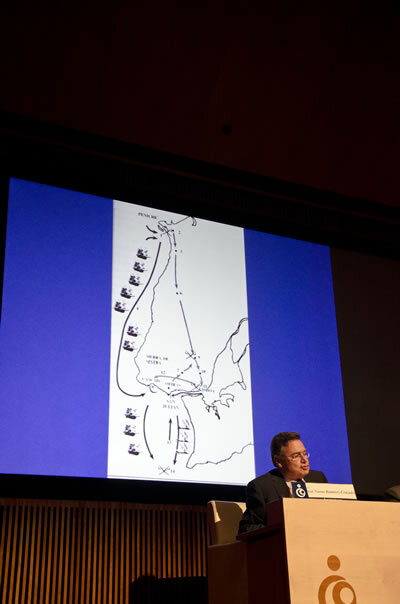 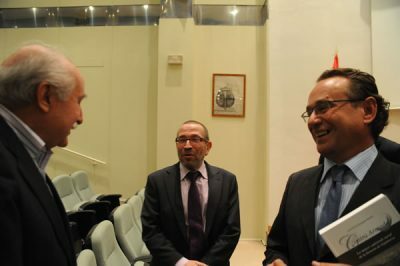 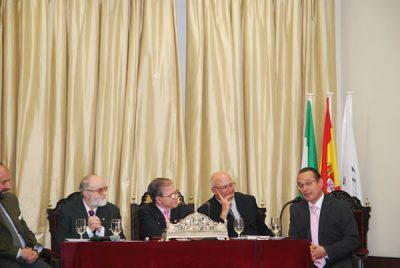 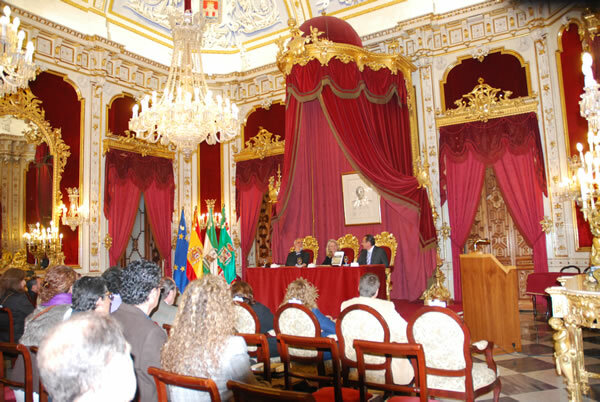 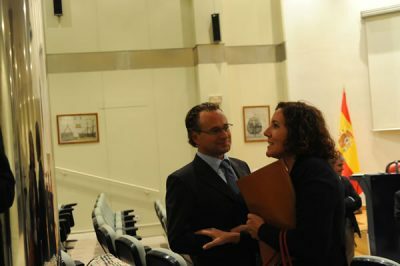 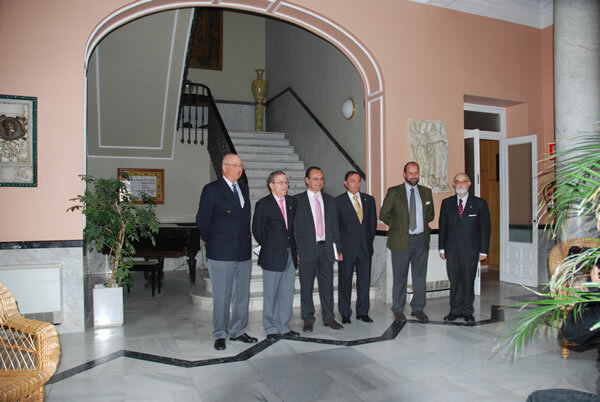 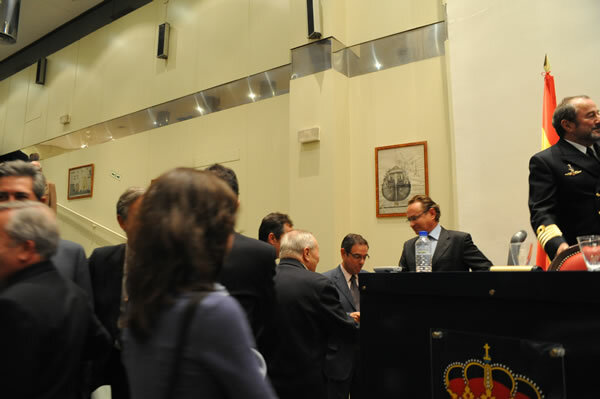 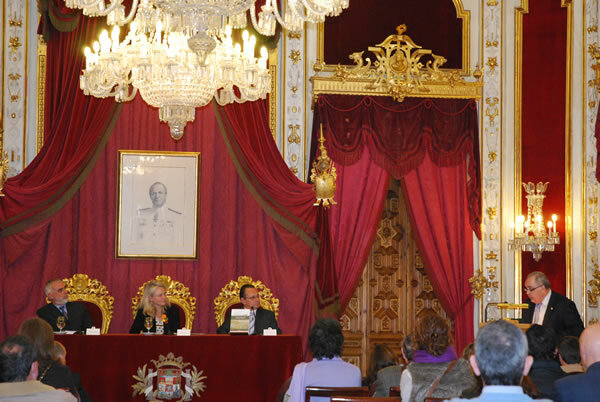 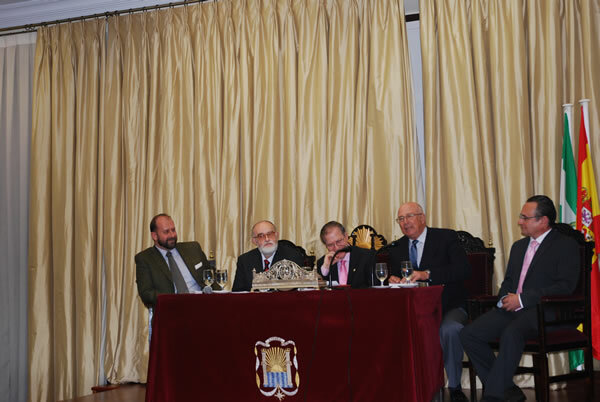 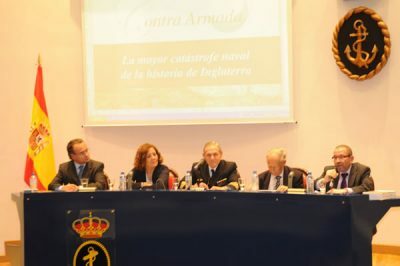 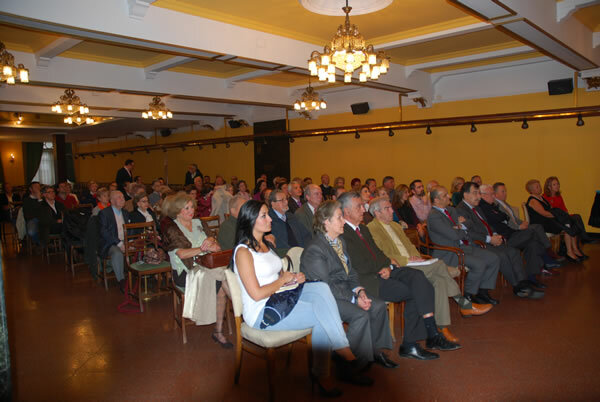 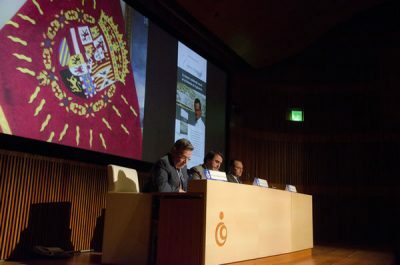 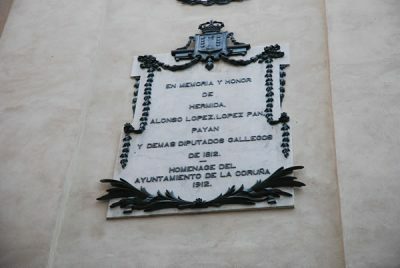 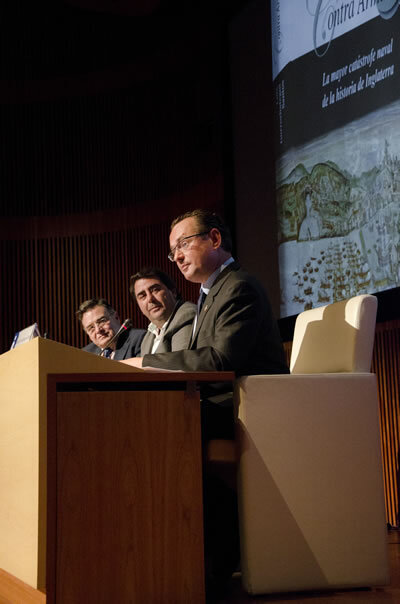 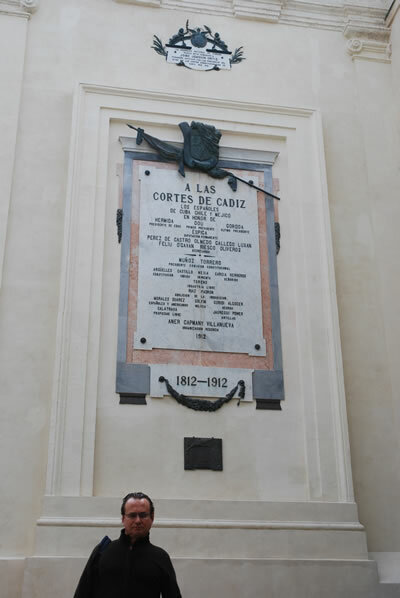 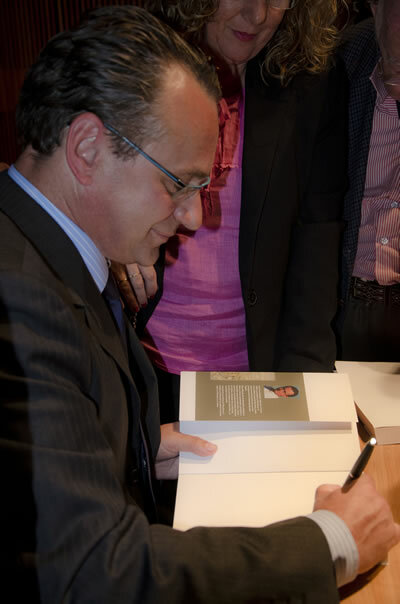 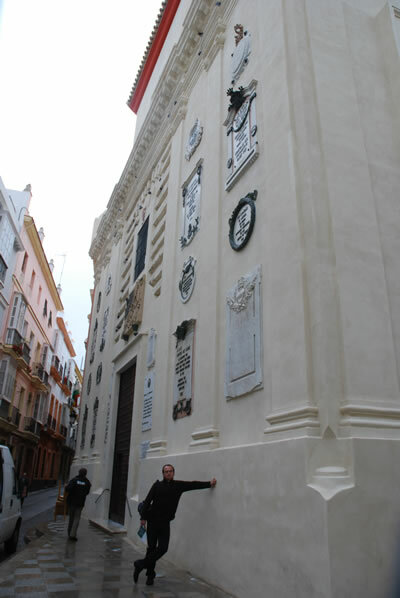 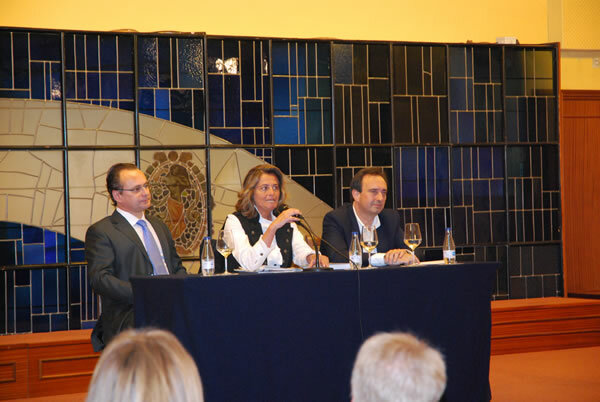 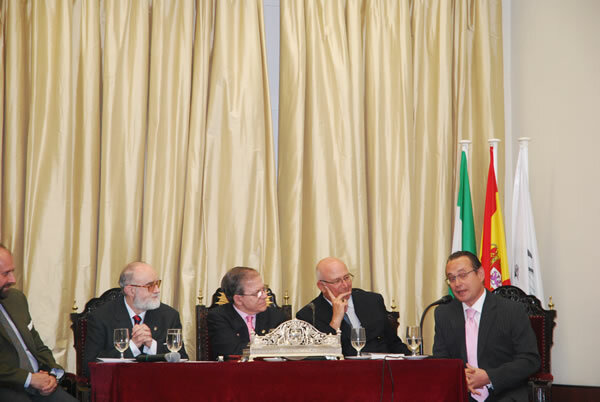 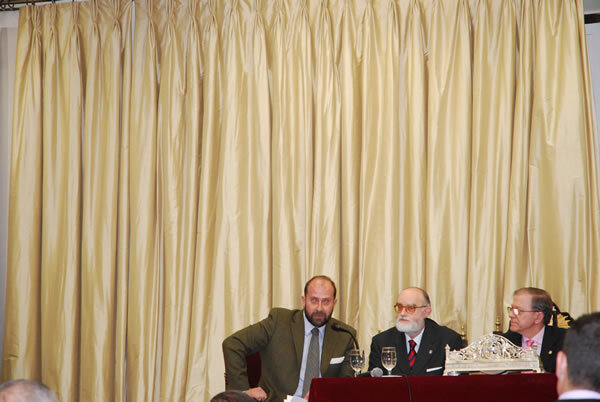 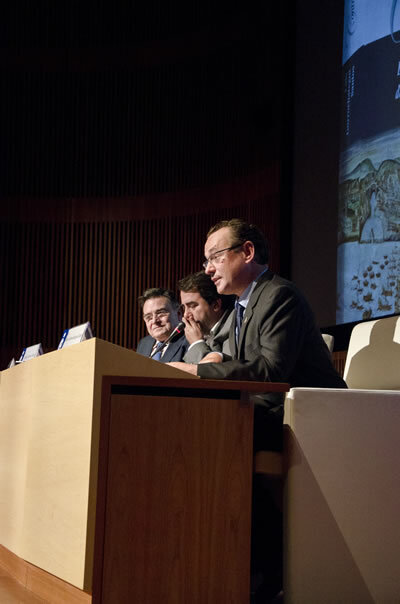 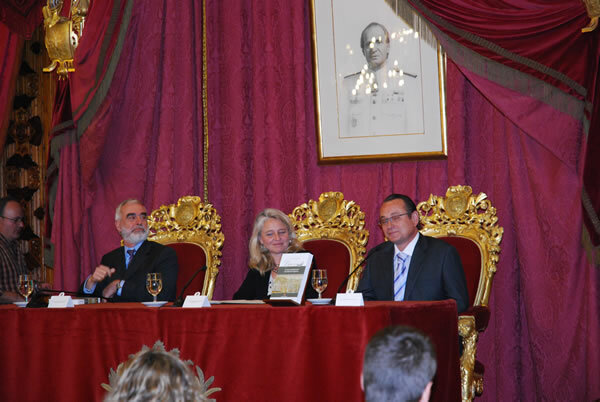 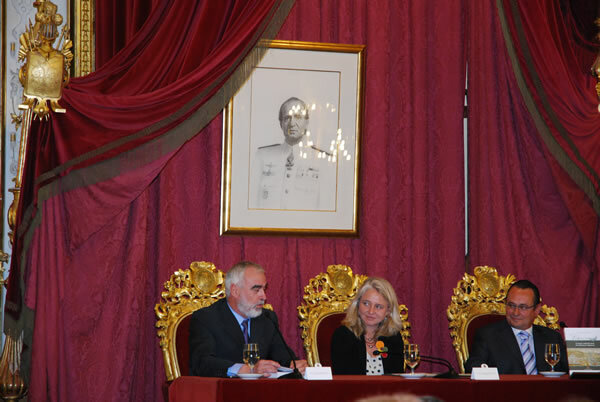 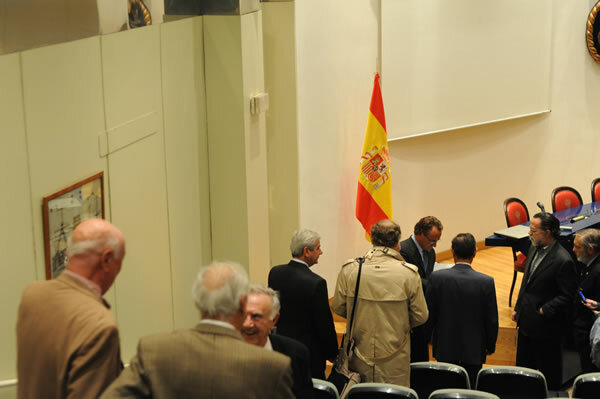 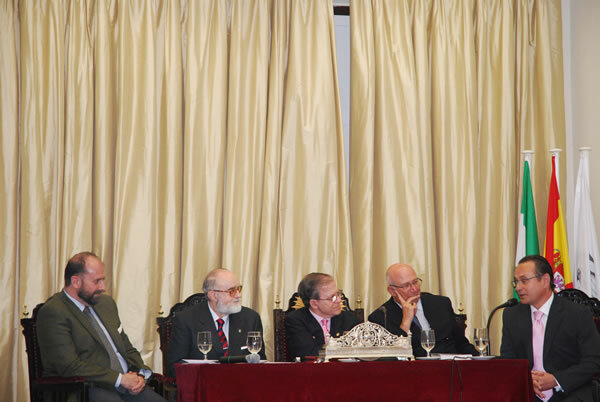 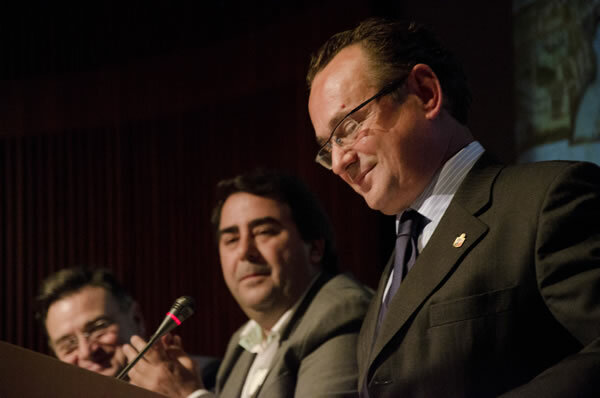 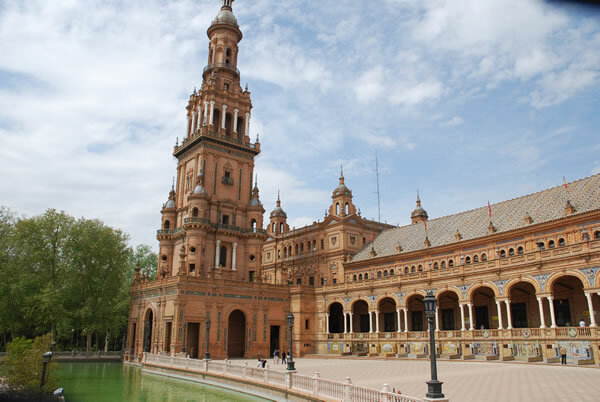 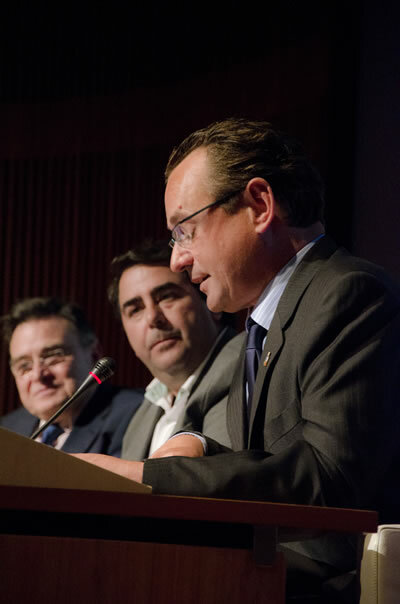 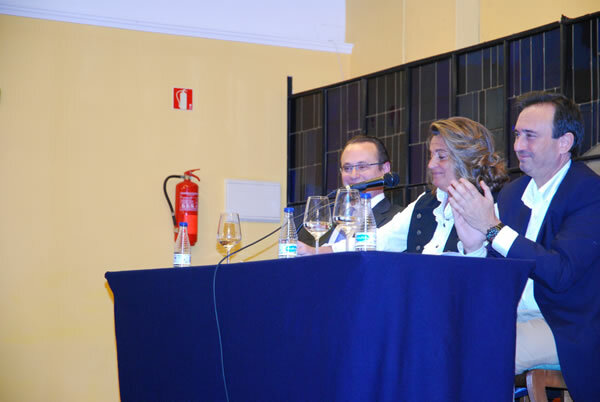 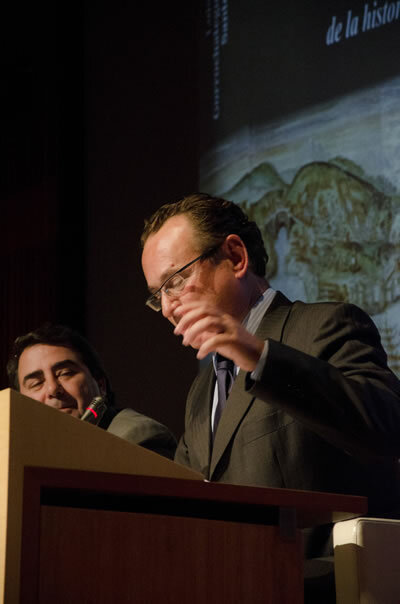 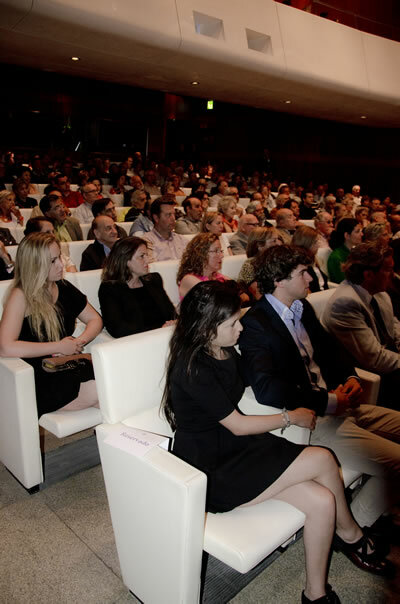 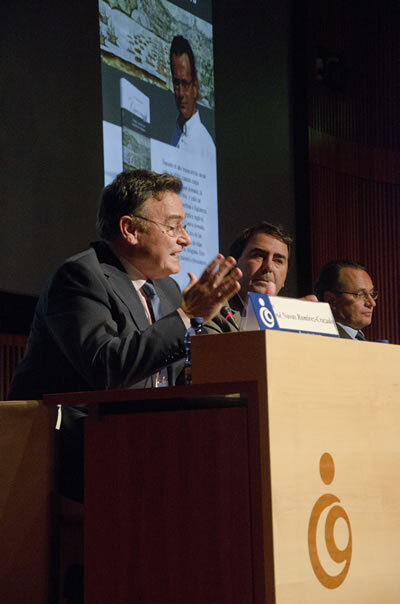 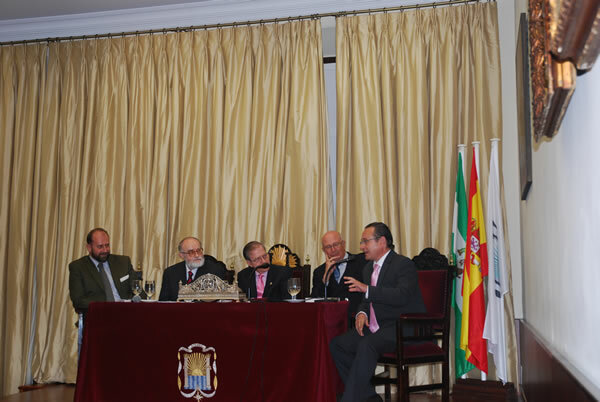 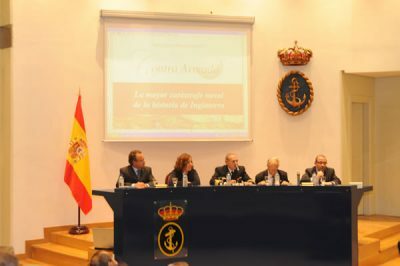 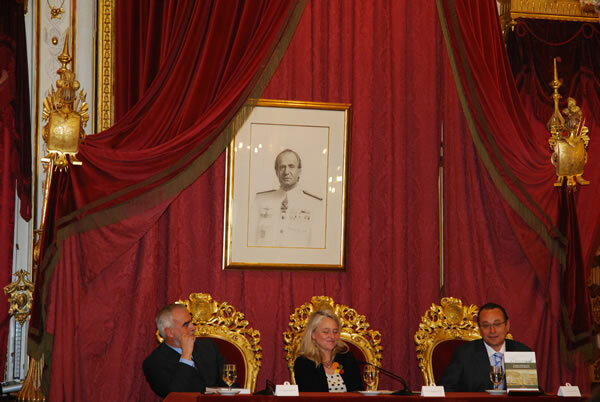 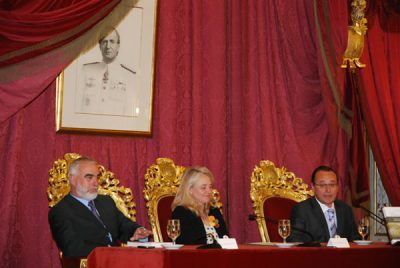 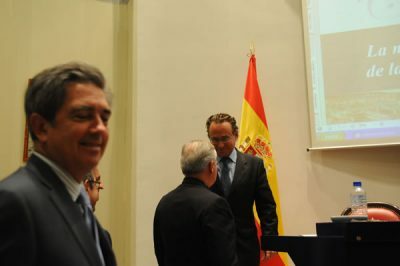 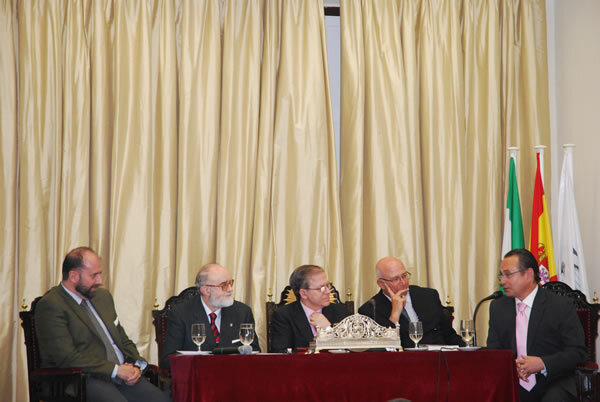 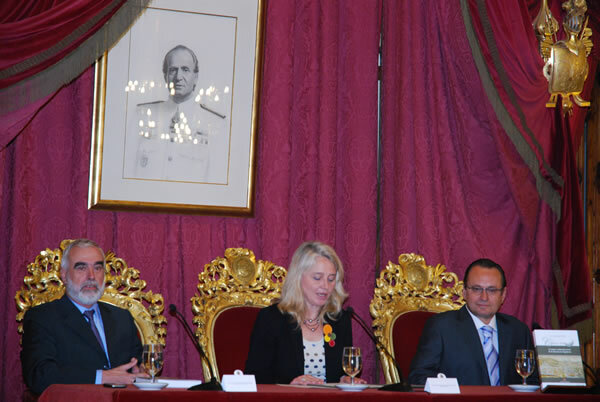 The book was introduced by the Chair of the Ateneo (Cultural Centre) of Seville, Don Alberto Máximo Pérez Calero, Don José López de Sagredo y Camacho, Marquis of Castellón and ship’s captain, Don José Domínguez León, Chair of the literature section of the Ateneo of Seville, Don Juan Cartaya Baños, Doctor in Modern History and Don José Antonio Solís Miranda, publisher. 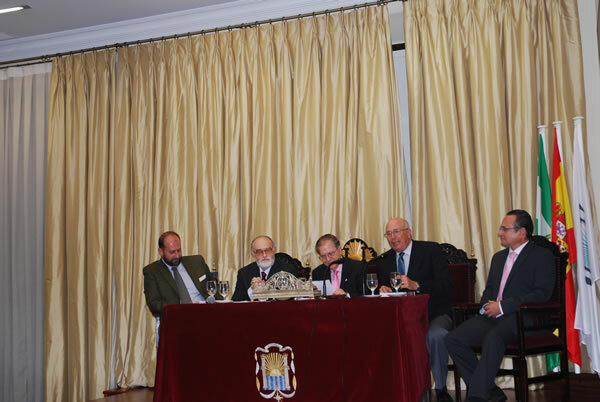 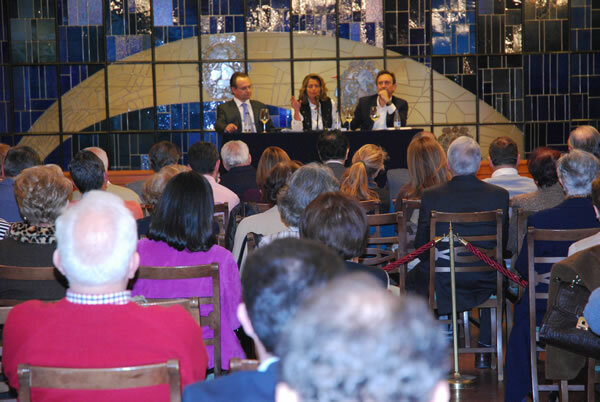 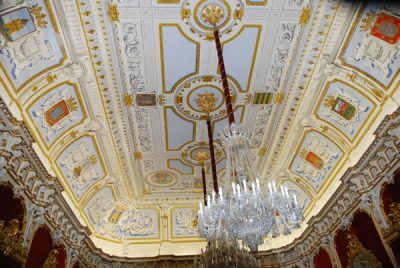 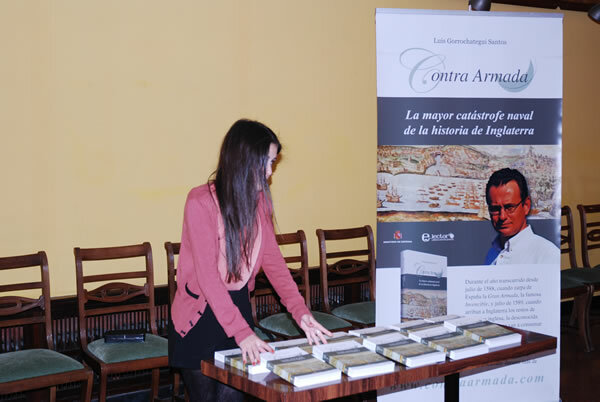 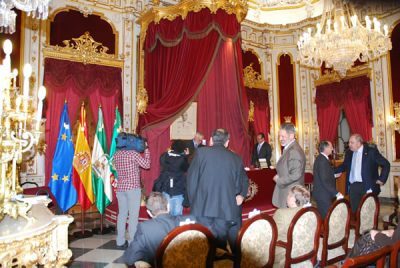 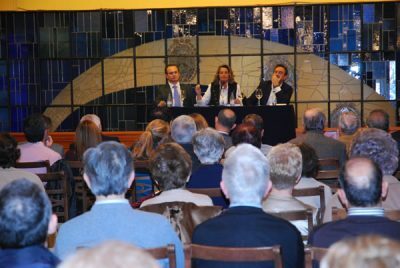 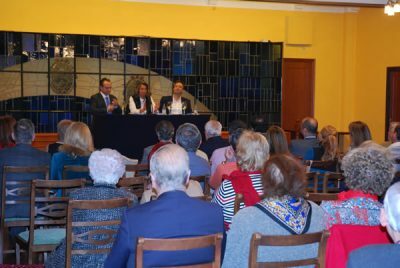 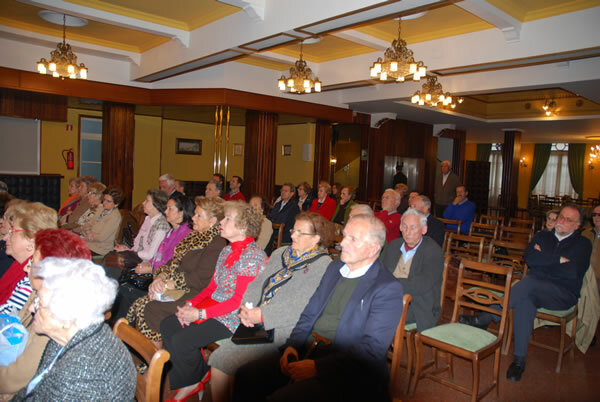 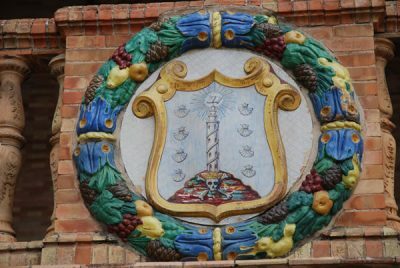 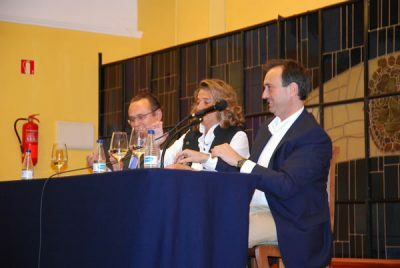 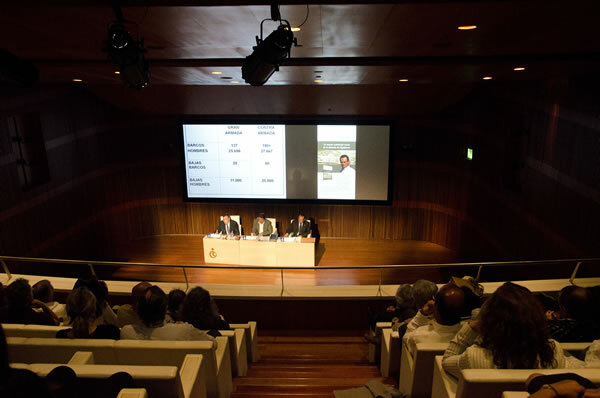 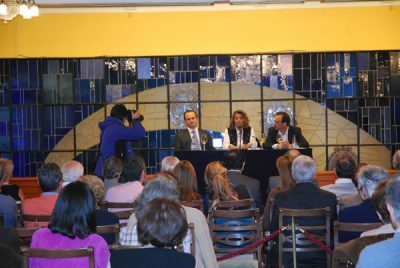 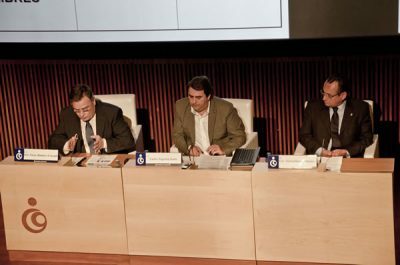 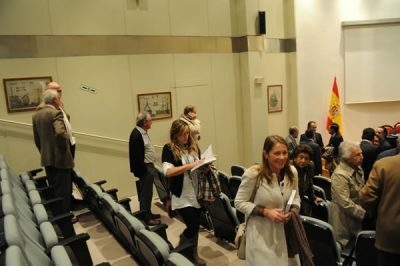 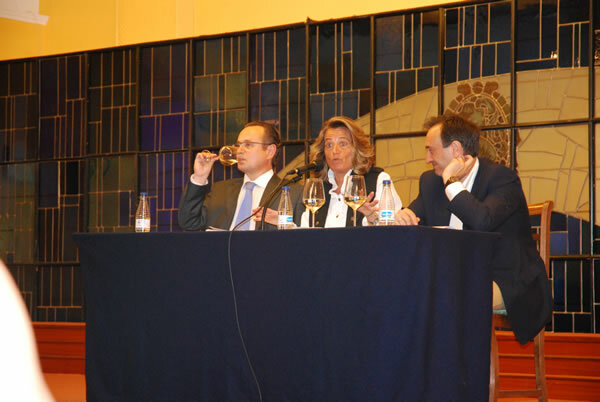 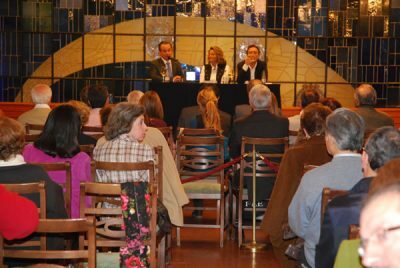 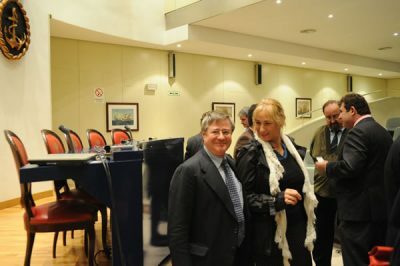 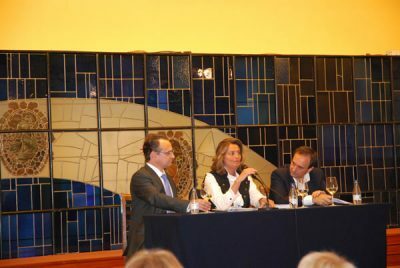 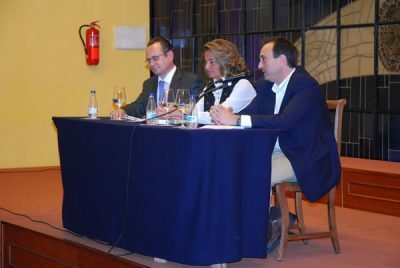 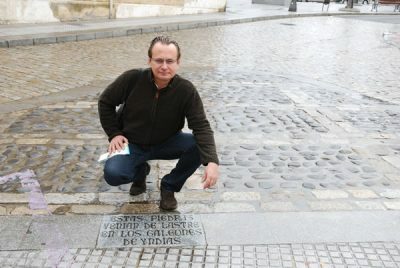 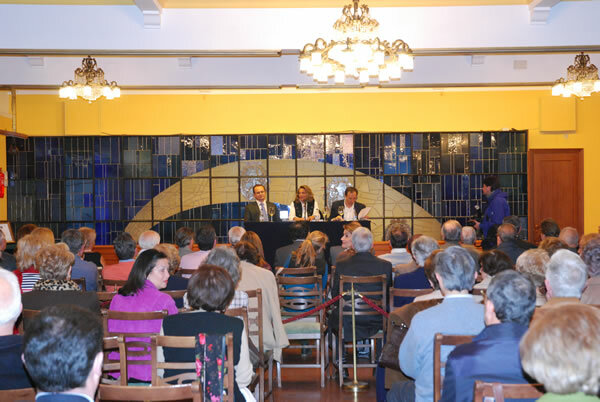 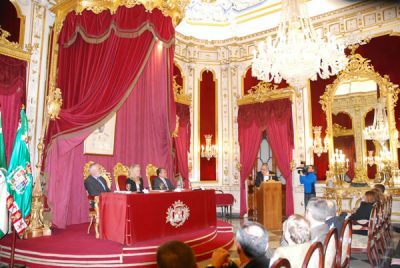 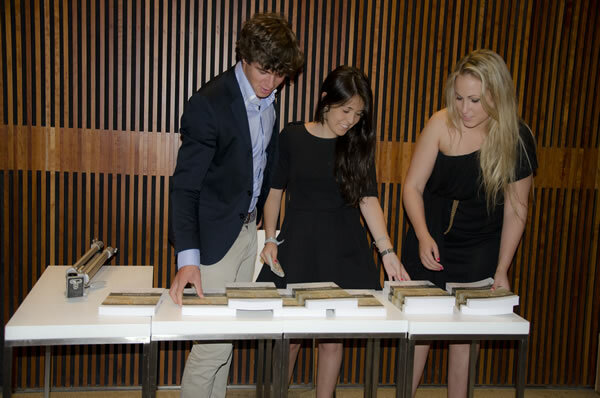 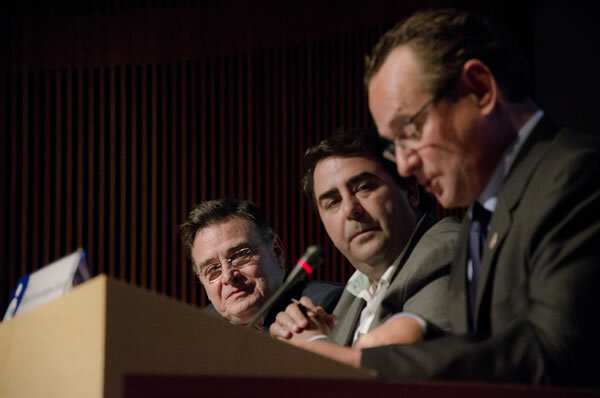 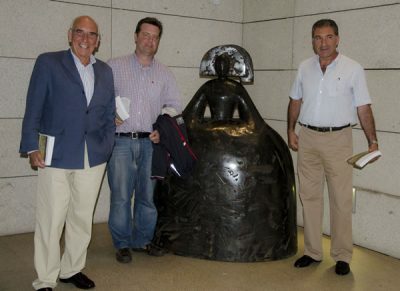 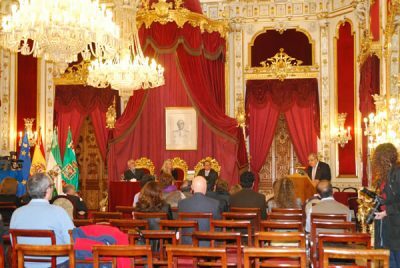 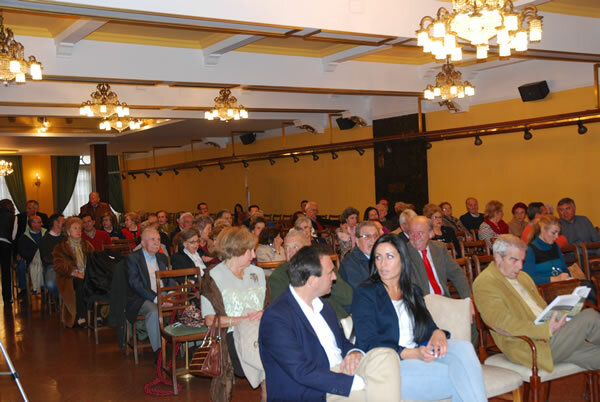 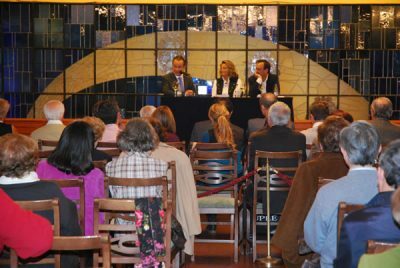 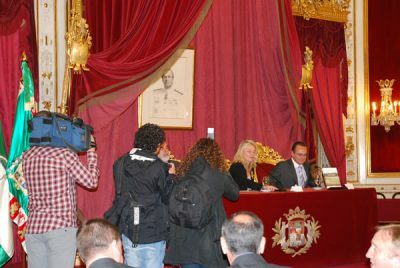 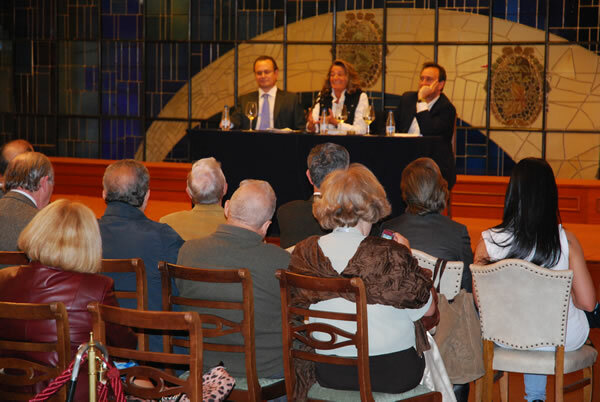 The book was introduced by D. Gerardo Fernández Albor, First President of the Xunta de Galicia, Juan Granados, novelist and historian and Pepa Antón, lawyer. 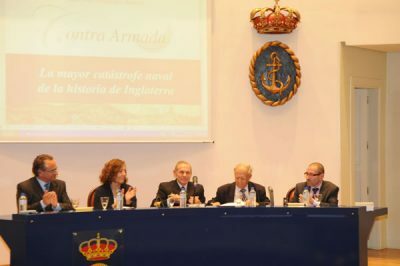 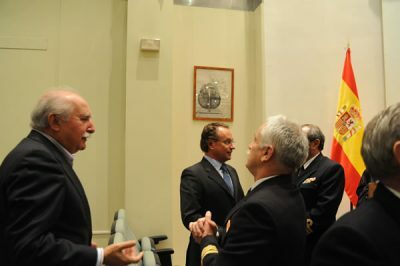 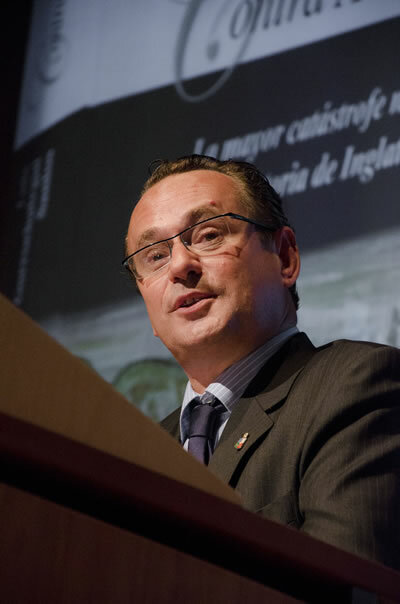 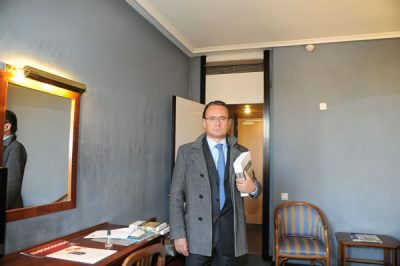 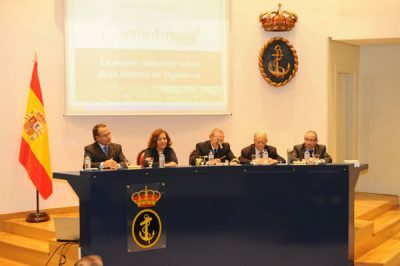 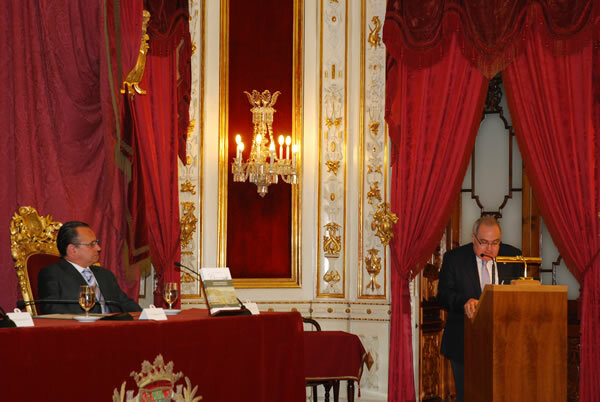 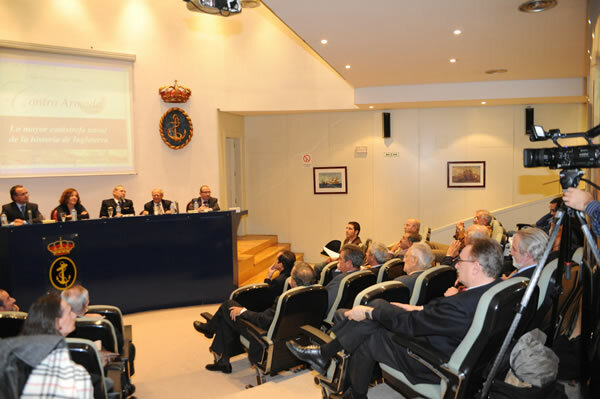 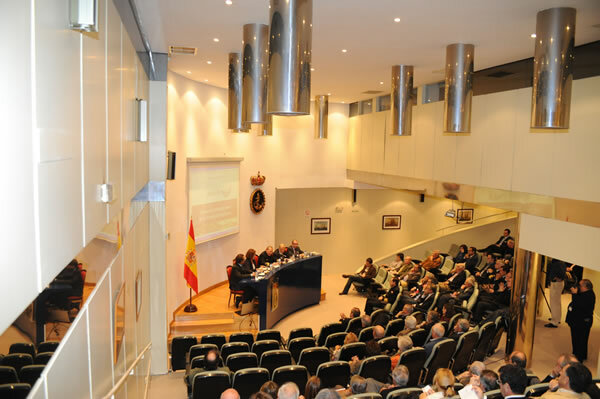 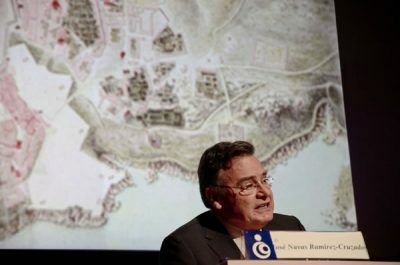 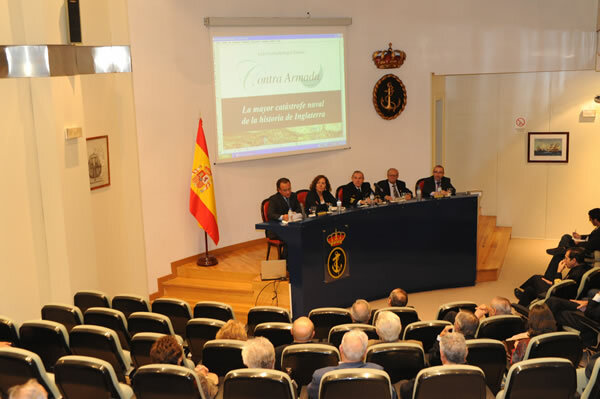 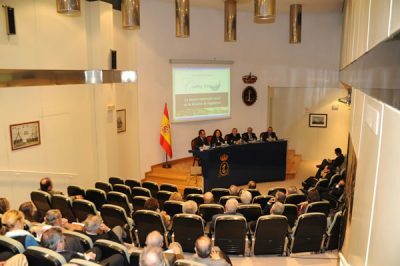 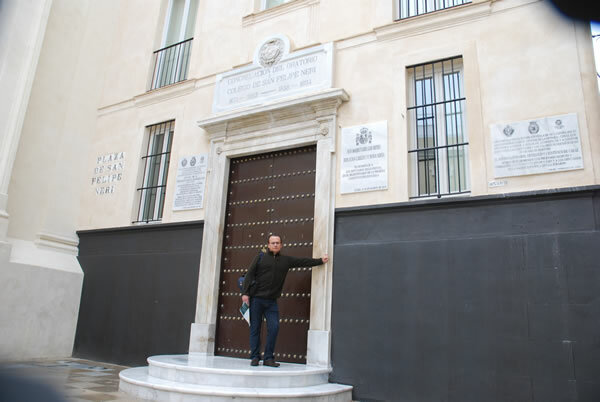 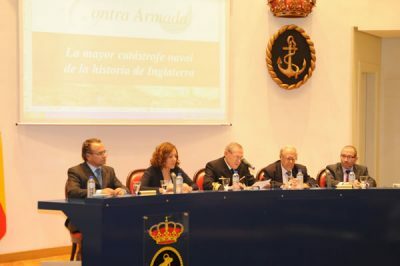 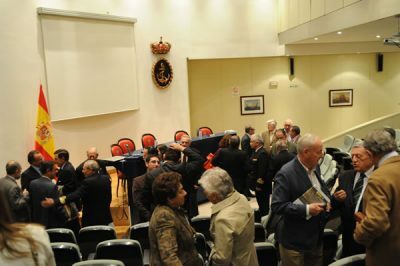 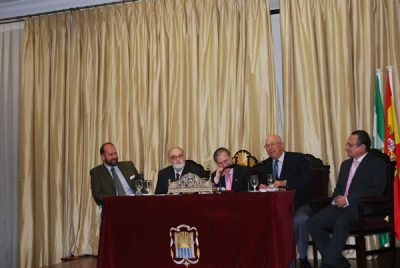 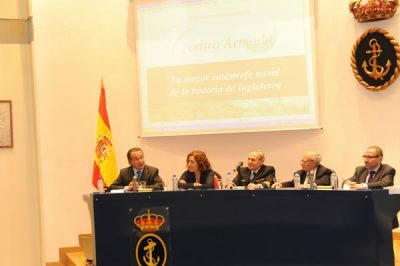 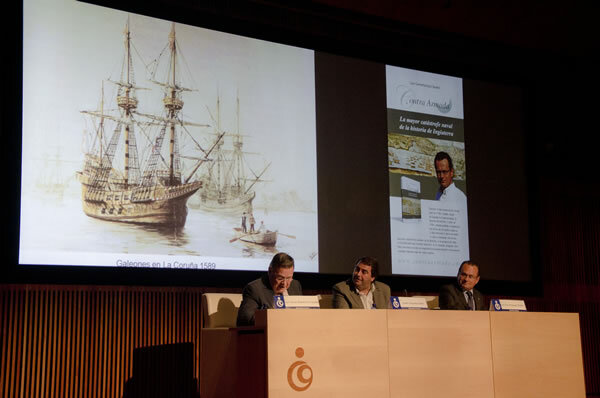 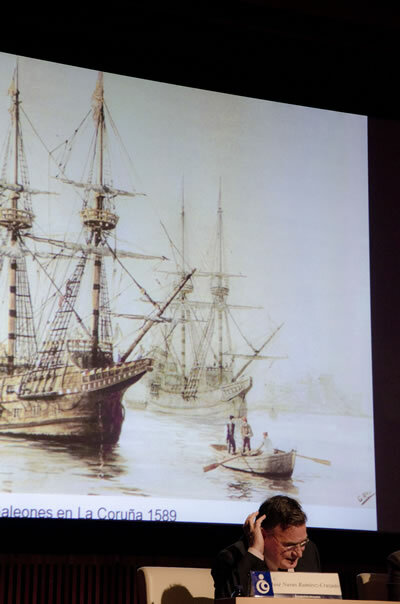 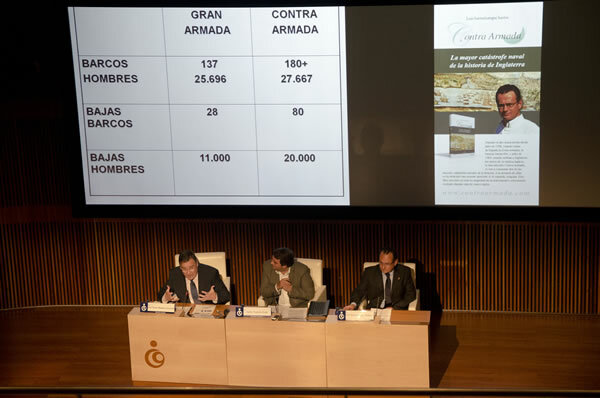 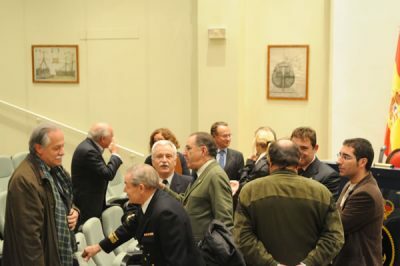 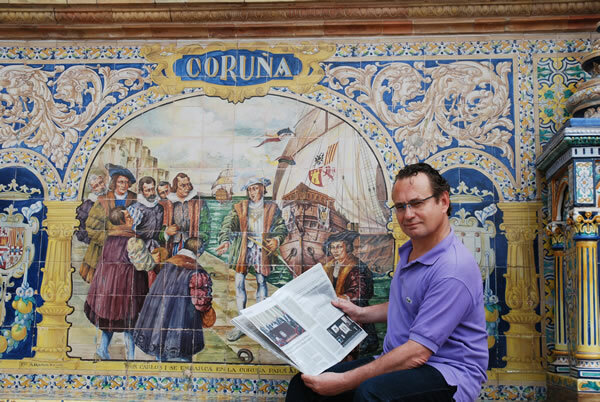 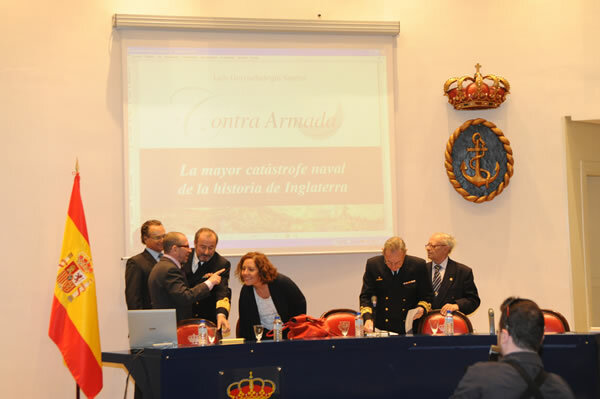 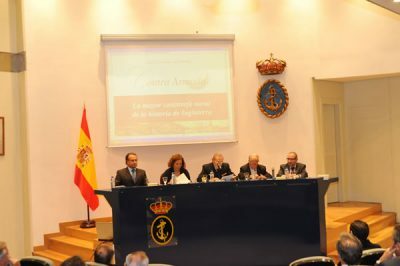 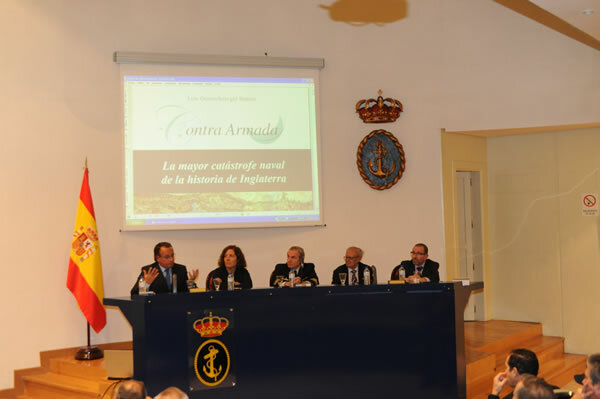 The book was introduced by Admiral Don Gonzalo Rodríguez González-Aller, Director of the Institute of Naval History and Culture, by Don José Cervera Pery, corresponding member of the Royal Academy of History and member of the Royal Academy of the Sea.